The green terraces have become an icon of sustainable constructions and gain ground in quantity and quality. It functions as an ecosystem implanted on the roof of a home. Oxygenation and thermal insulation are some of its benefits. While green spaces within the building, specifically ceilings and walls, are often seen on its merely aesthetic side, little is known about its benefits. The main beneficiary of a green terrace is undoubtedly the environment. The current cities are like large asphalt and concrete umbrellas and the fact that these are impermeable generates that the water cannot drain and complete its natural cycle. This is largely due to urban floods, which could be combated by generating water-permeable surfaces. In this sense, the green terraces retain rainwater and enable it to be gradually released into drains. On the other hand, this huge agglomeration of asphalt and concrete generates the effect called “Island of Heat”, through which the cities absorb the heat during the day but do not dissipate it during the evening hours. Both green spaces and waterways transform solar energy from photosynthesis and evaporation. That is why the generation of green roofs on urban construction is a measure of great utility to mitigate this problem. Reduce heat island effects on cities. In dwellings develop up to 8°C less in summer and 10°C more in winter. There are natural acoustic insulation. In homes improve acoustic insulation up to 8dB, improving the quality of life of its inhabitants. Green roofs protect slabs and membranes from sun damage, extending its useful life. 200 m2 green roof produce the necessary oxygen for a family to live. Recover the natural water cycle, avoiding floods. Filtered particulate pollutants such as SO2, products of the acid rain. 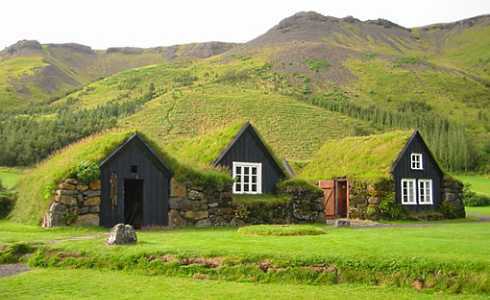 Green roofs are a clear response to the lack of green spaces in the cities. Capture particles that cause respiratory diseases.